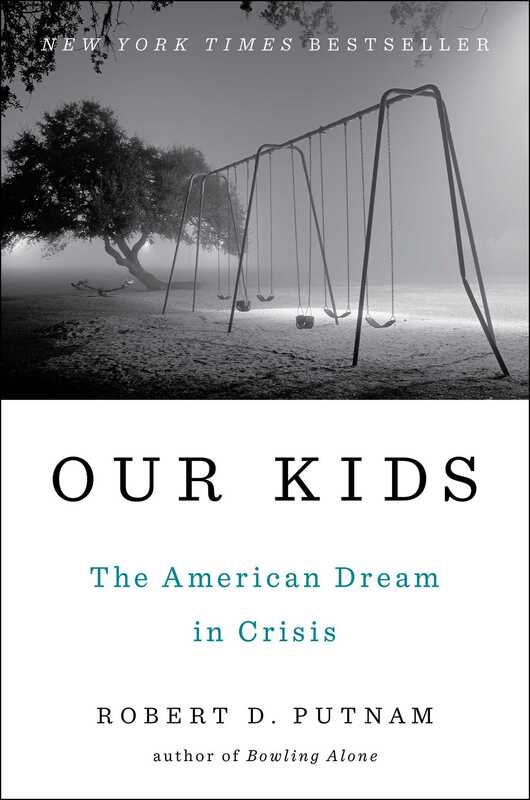 A lot of press have published very enthusiastic and positive reviews about Our Kids: The American Dream in Crisis by Robert D. Putnam, but as someone who works in the education field, has a background in family, youth, and educational sociology, and is a frequent reader of nonfiction, I must strongly disagree with the bubble of positivity surrounding this book. The book covers what the author believes to be the disintegration of the “American dream” which, for the purposes of the book, is essentially the belief that individuals can achieve upward social and economic mobility through increased educational attainment. Everything covered in the book isn’t new to anyone that works in education or is in tune with social inequality in anyway. I concede that this book is likely not meant for people who are already interested in and informed of these topics, but is rather meant to serve as an introduction to the general public of the troubling conditions that surround young people who are trying to advance themselves within society. However, the tone that Putnam adopts within his book is incredibly condescending. Within the work, he highlights the different life and education experiences that typically occur for youth in different economic classes, ranging from upper-middle class families to those who are living below the poverty line. I’m happy that Putnam (or rather his graduate student, Jennifer Silva, who actually conducted all of the interviews detailed in the book) included a range of representations of what it’s like to grow up in America today in comparison to what his and his high school classmates’ lives were like in 1959 in his hometown of Port Clinton, Ohio. However, what really irked me is when the author would write calls to action with an air of assumption that anyone reading the book helms from something above a working class background. When this happened, it seemed to me like Putnam sometimes lost sense of the humanity of the populations that he doesn’t personally identify as and assumed that anyone reading his book would be of the same social social class as him. Because of this, I felt like the calls to action were particularly alienating. The main argument Putnam makes throughout the book is that class influences a child’s success in the American schooling system and subsequent career and education trajectory more than race does. While I agree that class is incredibly influential on these outcomes, race can also greatly impact how children are treated by their peers, community, and educators, and this cannot be brushed aside as easily as Putnam makes it seem. I wish Putnam had spent more time digging into how the intersection of race and class can impact certain children, but he seemed to cherry pick stories that supported his main thesis instead of looking to include a representation of different experiences. Below, I’ve included two quotes that I found particularly troubling in order to provide examples of why this book rubbed me the wrong way. They are only included in this review because I feel like they can help potential readers decide whether or not this is a book they would like to read. Aforementioned alienation aside, I guess Our Kids can serve as a good introduction to how social and education inequality affects young people for a reader who is completely new to these topics. If you decide to read this, please realize that Putnam’s tone can be incredibly condescending at times and this subsequently impacts how he details the experiences of all of the study participants who were interviewed. I partly think he did this in order to enact a larger call to action and a greater sense of shared responsibility with the assumed (upper-middle class) audience who is reading the book, but it fell flat for me. Publication Date: 10 March 2015 by Simon & Schuster. This entry was posted in america, education, inequality, nonfiction, parenting, race, Review, sociology, youth and tagged american dream, amreading, book, book review, children, education, education inequality, inequality, jennifer silva, our kids, our kids: the american dream in crisis, parenting, read, reading, review, robert d. putnam, social inequality, sociology, youth on May 25, 2015 by Bri with a book blog.